The Hilsinger Company v. Kleen Concepts, LLC (14-cv-14714). Kleen Concepts was accused of infringing Hilsinger’s SHIELD mark by using the brand SHIELDME for its screen and lens cleaning products. Hilsinger uses the SHIELD mark for lens cleaning products. Kleen Concepts was also accused of misusing the phrase “Made in USA,” with Hilsinger contending that “significant components” of the products were manufactured abroad. Kleen Concept’s motion for summary judgment of non-infringement as to its screen-cleaning products was denied, because the similarity of the marks and the products, combined with disputes of material fact as to the channels of trade and targeted customers, left material facts in dispute. 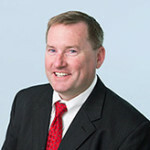 Judge Saylor further struck the portion of Kleen Concept’s reply brief that argued for the first time that products that had been re-branded with the (unaccused) mark KLEENME did not infringe, despite the continued existence of the SHIELDME mark on the interior of the packaging, refusing to allow new arguments not raised in the opening brief. Judge Saylor also denied Kleen Concept’s motion for summary judgment on the false designation of origin claims, finding that (disputed) facts had been introduced that Hilsinger was actually harmed due to sales losses that coincided with buyer Wal-Mart’s initiative to increase sales of domestically-made products and evidence that a Wal-Mart buyer believed Kleen Concepts’ products were made in the USA. Finally, Judge Saylor struck the portion of Kleen Concepts’ expert report that asked survey respondents to identify their “primary purchasing consideration,” because Kleen Concepts could not point to any evidence that the expert’s methods for determining this had been tested, subject to peer review, or otherwise scientifically validated. Author dmassiplitigationPosted on September 6, 2017 September 21, 2017 Categories Summary Judgment, TrademarkLeave a comment on The Hilsinger Company v. Kleen Concepts, LLC (14-cv-14714). Judge Young is known in this district for keeping his cases moving. He lived up to that reputation last week, issuing an order denying a motion to continue a bench trial regarding claims of patent infringement based on the filing of an Abbreviated New Drug Application (ANDA). Three days of trial had occurred in March, at which point the Abhai discovered that certain of the tests, the results it had produced in discovery, had been incorrectly performed. Abhai moved to amend its pretrial memorandum to include eight additional exhibits related to the faulty nature of the testing; Judge Young granted the motion but suspended the trial to permit discovery on this new evidence. Shire LLC v. Abhai LLC (15-cv-13909). With trial set to resume in early September, Shire moved for a further continuance of the trial to permit the discovery of new evidence that Shire asserted was relevant to the issue of infringement. One week prior to Shire’s motion, the FDA refused to approve Abhai’s ANDA and directed Abhai to redo all bioequivalence testing on newly created batches of product. Shire contended that the prior product, on which all existing evidence at trial was based, might not be representative of the product that ultimately is approved for sale. Judge Young denied the motion, citing the profound public policy reasons favoring expeditious adjudication of claims brought under the Hatch-Waxman Act (although he declined to identify any in his order). Author dmassiplitigationPosted on August 31, 2017 September 21, 2017 Categories UncategorizedLeave a comment on Shire LLC v. Abhai LLC (15-cv-13909).